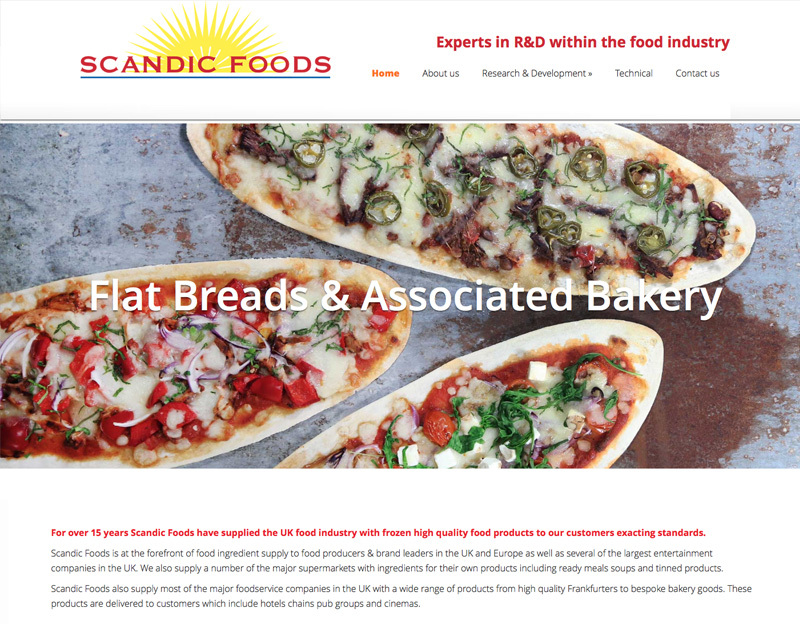 Working with Gill Marketing we produced a new website for Scandic Foods. We have worked with Scandic in the past on their previous website but with the introduction of responsive mobile friendly websites it was time for a change. The new site is clear and simple and advertises the products that Scandic Foods offer. Built in WordPress so it can be updated by Scandic.